Fish oil contains the essential fatty acids DHA (docosahexanoic acid) and EPA (eicosapentanoic acid); they are typically referred to as omega-3 essential fatty acids. Research indicates that these essential fatty acids may normalize membrane structure in the brain and improve neurotransmitter uptake. Low levels of omega-3 fatty acids have been linked to depression. Omega-3 essential fatty acids can be consumed by eating fatty fish (including salmon, tuna (fresh, not canned), anchovies, herring, mackerel and sardines) daily or by taking a high quality fish oil supplement. Research indicates that omega-3 fatty acids, and particularly EPA may help improve depression, with or without conventional antidepressants. Doses typically range from 1 gram of EPA to 10 grams of EPA+DHA per day in divided doses. Note, taking doses greater than 3 grams per day of omega-3 fatty acids can inhibit platelet aggregation and increase the risk of bleeding. It may also have additive effectives with anticoagulant drugs, although research suggests that doses of 3-6 grams per day do not significantly affect coagulation in people taking warfarin (Coumadin). The real key with using fish oils is getting the right amount of EPA and DHA. Most fish oils will say that they contain “1000 mg of fish oil per capsule” or “1000 mg of omega-3 fatty acids per serving”. However, you have to flip the bottle over and find out (1) how much EPA and DHA are in a serving and (2) how many capsules are in a serving. 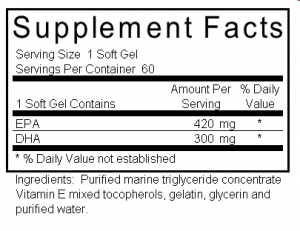 Looking at the label, you can see that a serving is 1 soft gel and that each softgel has 420 mg of EPA and 300 mg of DHA. If we wanted to get in the necessary amount of EPA + DHA daily (at least 1300 mg EPA + DHA) we would need to take 2 softgels daily. Looking at this label, we see that a serving is four soft gels and that each serving contains 105 mg of EPA and 185 mg of DHA. That means that in order to get the recommended amount of EPA + DHA (at least 1300 mg) we would have to take 20 softgels daily! The price tag on Fish Oil B is less than Fish Oil A, but you need to take 10 times more in order to get amount of EPA and DHA to reduce your depression. So you can take Fish Oil A and take one of these twice daily OR you can take Fish Oil B and take this many fish oil capsules daily. Which would you choose?! 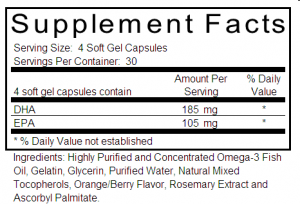 Supplement quality is the major concern across the supplement industry. It is especially important in fish oils because most contaminants are fat-soluble, which means they are dissolved in fat. Therefore, it takes special processing and manufacturing methods to make sure the fish oil product you are getting is free of harmful contaminants while providing you the amount of EPA and DHA stated on the label. Unfortunately, a recent study shows that many of the largest supplement manufacturers are selling fish oils that contain high levels of contaminants. A lawsuit was filed based on a study that showed many fish oil products contained dangerously high levels of a cancer-causing compound called PCB. Even though PCBs were banned in 1979, they are still pervasive in the environment and are found in almost all fish. Without proper processing, they will be passed through into fish oil supplements. The following manufacturers were found to have fish oil supplements that contained high levels of PCBs: Twinlab, Nature Made, CVS Pharmacy, GNC, Rite Aid, NOW Foods, Solgar and Omega Protein. 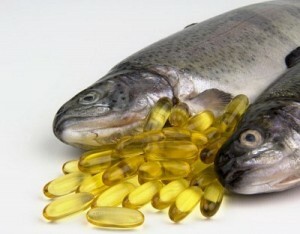 Now before you give up on the idea of taking fish oil supplements because of the possibility of impurity, several companies undertake the required manufacturing steps to remove these impurities and use third party labs (i.e., labs they don’t own) to test them to make sure they meet the highest quality and safety standards. All of the fish oils we recommend meet these standards, so you can be sure you are receiving everything you want and nothing you don’t.